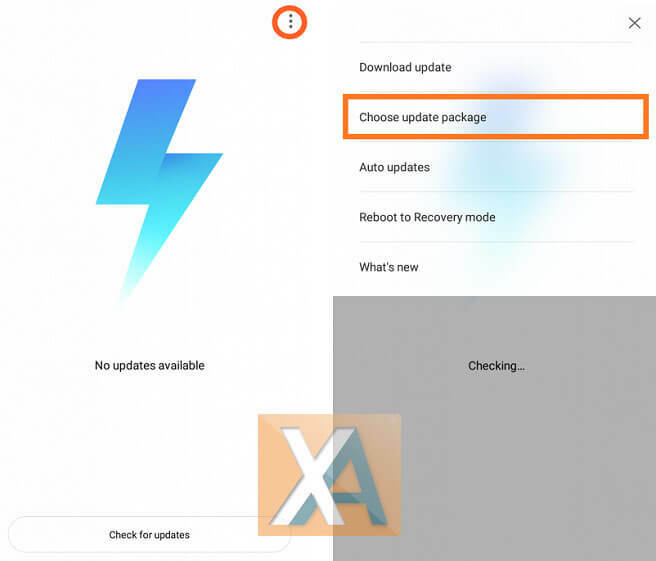 Install MIUI 10 Recovery/Fastboot ROM on Xiaomi Devices: It’s just last week, Xiaomi announced the most awaited MIUI skin i.e. MIUI 10 at an event in China. We have already brought the top features of MIUI 10. Soon after the announcement of MIUI 10, the company announced the roadmap for MIUI 10 Beta update. 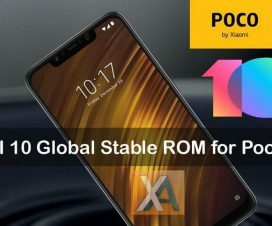 A total of 33 Xiaomi smartphones are eligible for MIUI 10 update, of which Mi 8, Mi Mix 2S, Mi Mix 2, Mi 6X, Mi 6, Mi 5, Mi Note 2, and Redmi Note 5 Pro are the first batch of devices to get MIUI 10 update. In fact, Xiaomi has already started rolling out an internal beta version of MIUI 10 in China. 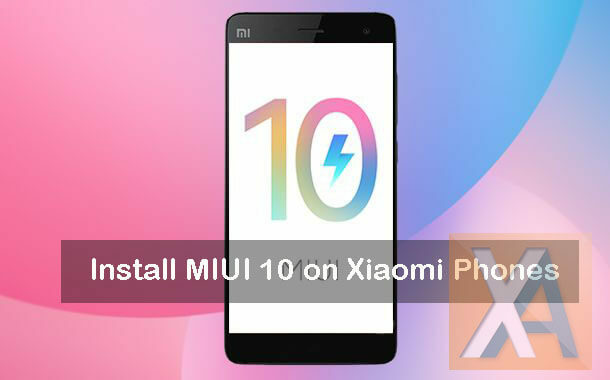 So, here we have shared a step-by-step guide on how to install MIUI 10 Recovery/Fastboot ROM on Xiaomi phones. This guide is compatible with both Global and China build and also works with Alpha, Beta, and Stable versions. In fact, the same guide can also be followed to install upcoming MIUI updates including MIUI 10.2, MIUI 10.5, and more. So, what are you looking for? Follow the below steps and update your Xiaomi smartphone to latest MIUI ROM. 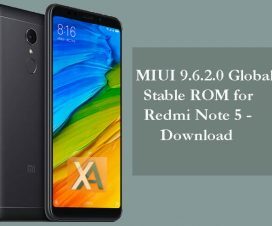 The following flashing procedure is compatible only with Xiaomi Mi & Redmi smartphones. Don’t ever try on any other OEM smartphone. Ensure the battery level on your device is more than 70% to prevent the accidental shutdown in-between the process. Make sure to enable USB Debugging on your device (Complete Guide). Install Xiaomi USB Drivers on your laptop. The bootloader of your device should be unlocked (Fastboot method). You can follow our quick guide on how to Unlock Bootloader of Xiaomi phones. Make sure to take a complete backup of all your data on the phone. Disclaimer: XiaomiAdvices is not responsible for any hardware/software issues that occur on your Xiaomi smartphone by following this guide. We ensure that the following guide is 100% safe to update your device to official firmware. In case, if you still feel uncomfortable with the following procedure, then please don’t proceed. 1. 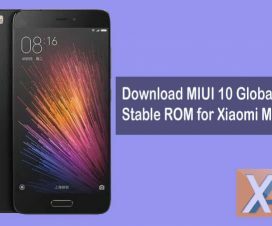 Firstly, Download MIUI 10 Recovery ROM and save it to your device storage. 2. Launch the ‘Updater’ app on your device. 3. Now you need to tap on the three-dot menu option (‘…’ icon) located at the top-right corner. 5. Select the downloaded recovery ROM which you have saved to device storage in Step 1. That’s it! The installation process starts and once done your device will automatically reboot to the latest version. 1. Download & Install Mi Flash Tool on your laptop/PC. 2. Now download Fastboot ROM to your computer. 3. Boot your device into Fastboot Mode by pressing and holding the power button and volume down button. 4. Now you need to connect your device to PC using a standard USB cable. 5. Now extract the Fastboot ROM and copy its path on the PC. 6. Launch Mi Flash tool and paste the MIUI 10 ROM path into the address bar. 7. Click on the “refresh” button. Now you’ll see that the device will be recognized by the Mi Flash tool. 8. Finally, click on “Flash” button to start flashing MIUI 10 Fastboot ROM on your Xiaomi smartphone. 9. The flashing process might take a few minutes to complete. So, keep patience and wait. 10. Once done, the smartphone will automatically reboot to the latest version. 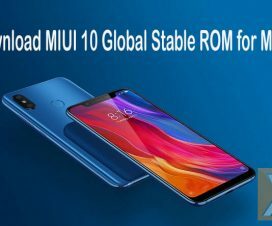 So, this is the simple tutorial to flash MIUI 10 Recovery/Fastboot ROM on your Xiaomi smartphone. If you have any kind of queries or issues, please comment below. Also, do share the post with your friends and relatives using the below social buttons and let them update their smartphone to the latest version of MIUI.